-- Black Mini F1B Bernedoodle Puppies Available Now! The Bernedoodle is a cross of a bernese mountain dog and a poodle. They are a strikingly beautiful dog that is matched in beauty by their gentle, eager to please disposition. The bernedoodle is a low to non-shedding, loyal, loving, intelligent companion. The bernedoodle has recently taken off as the next doodle craze! If you love the beauty of the bernese, but want the low shedding of the doodle, the bernedoodle is for you! 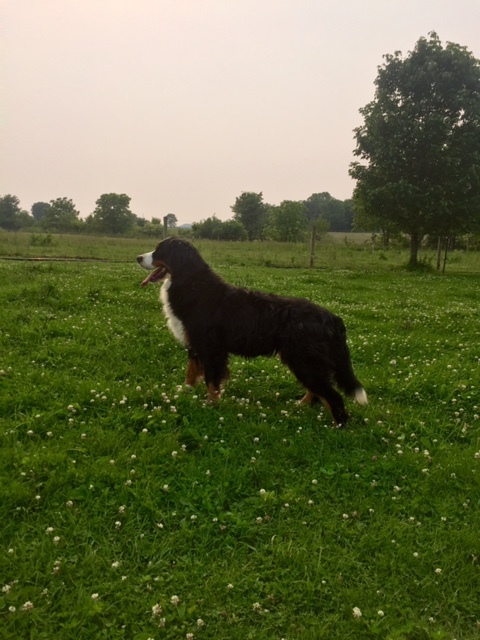 Our Bernese as well as our parti standard poodle are AKC registered. You can reserve a puppy by filling out an application, and we will match you with the puppy that is best for your family! Meet Ham, one of our beautiful Bernedoodles who resides in Colorado. You can read more about his exciting life at http://m.builtincolorado.com/2016/10/18/startup-dog-ham.